The Alexandra Oval Redevelopment Project Development Group commenced in June 2017 to focus on developing detailed designs for new netball courts, Olver Stand redevelopment and connecting pathways around the oval and to the Alexandra Gardens Precinct. Some of the representatives of the Alexandra Oval Redevelopment Project Development Group survey the potential site of the new netball courts at the rear of the Community Centre. From left, Lisa Haddow (Ararat Eagles Football-Netball Club), Gary Cunningham (Grampians Cricket Association) and Robyn Hemley (Ararat Rural City Council). Representatives from Ararat Eagles Football-Netball Club, Ararat Football-Netball Club Grampians Cricket Association, East Grampians Health Service and Ararat Rural City Council Officers are guiding the project. A public tender is currently open to provide fully developed plans and costings for the next phase of the precinct development to enable funding to be sourced. Group representative Jessica Brady said the vision for the Alexandra Oval Redevelopment is to further develop it as the premier sporting facility for the region and municipality through the provision of high quality sporting infrastructure. “All representatives are pleased to be a part of a very dedicated and experienced group of people, passionately driving this important project forward, including two new netball courts and facilities for the wider Ararat community,” she said. Ararat Rural City Council has a master plan for the redevelopment of the Alexandra Oval precinct, which takes into account the three projects the group are currently working on. Some components of the current master plan have been completed including the construction of the new changeroom facilities and the new Community Centre. The use of these facilities has continued to grow since stage one completion in 2014. 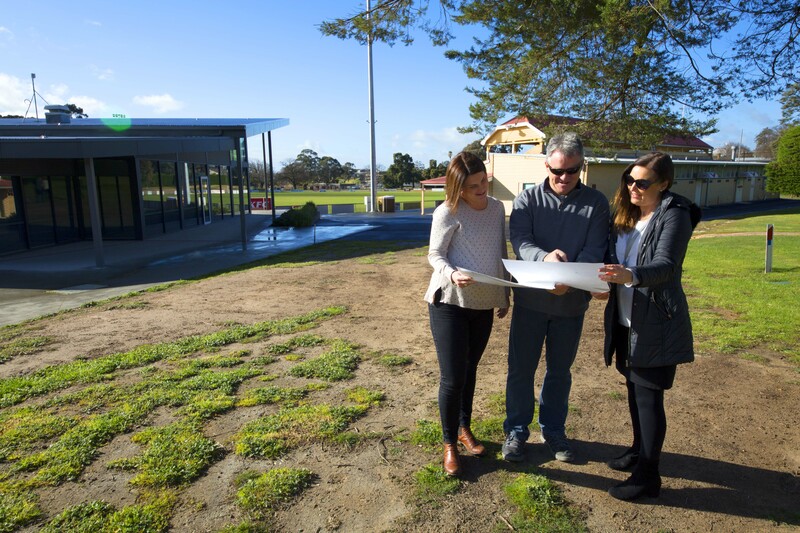 Together with the development of active links to the Alexandra Gardens and open space network precinct will become a focus for recreation and community life within Ararat. Engagement will form part of the process to ensure wider consultation from all user groups with the aim of completing the planning by early 2018.